I had a wonderful time on Saturday attending two floristry courses, which I’ll be blogging about shortly. And yesterday, we made the most of the beautiful autumnal weather and went for a stroll. 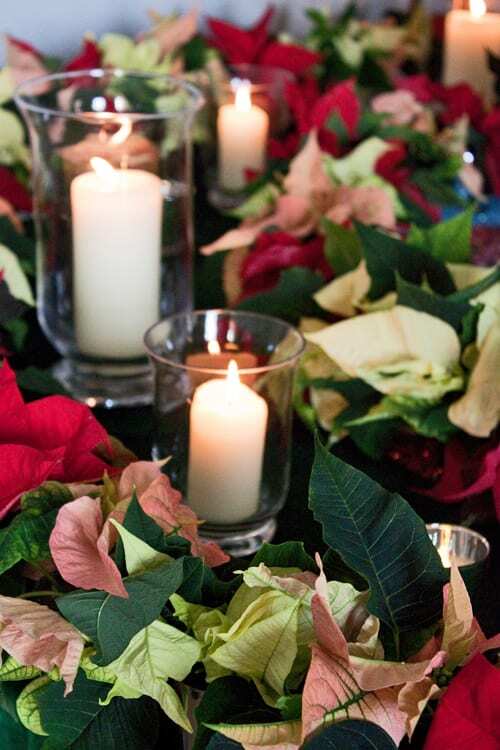 Today’s blog post features the fourth Poinsettia Christmas table design from the recent International Poinsettia Press Party which I attended. 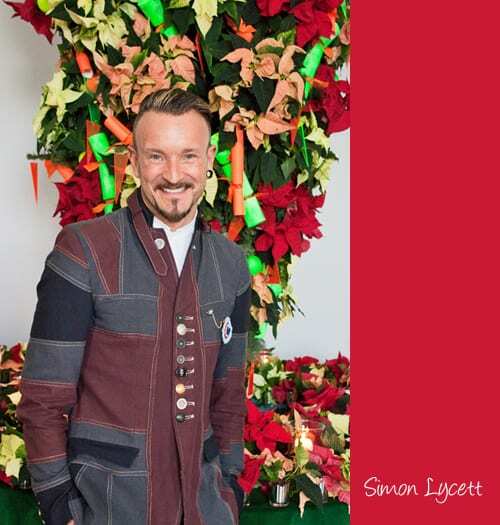 And it’s the turn of London-based florist Simon Lycett with his creation, ‘Twisted Christmas’. 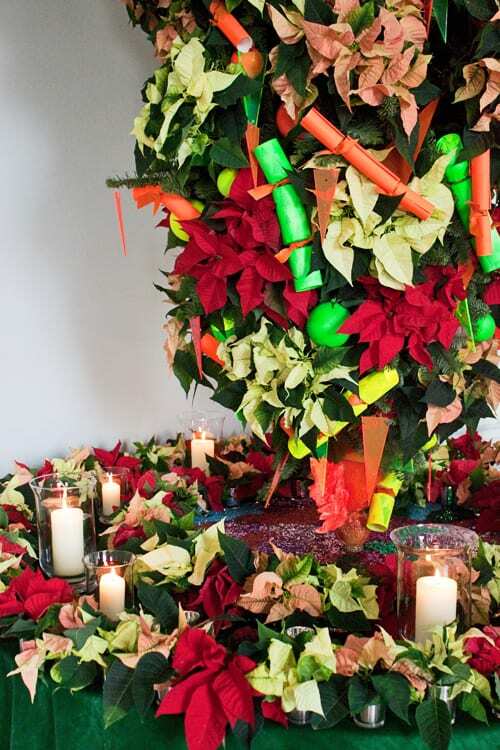 Simon turned Christmas on its head with a striking, tongue in cheek Christmas ‘Tree’. 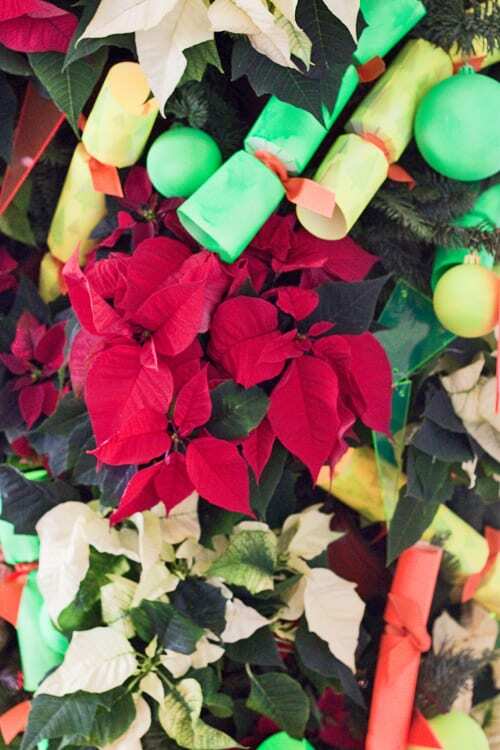 He used Poinsettias in varying colours together with neon green, yellow and orange crackers, plus baubles. 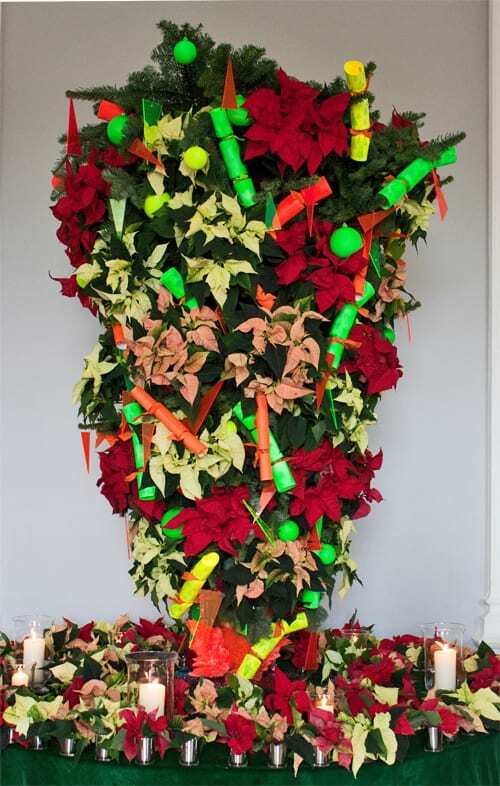 It certainly was a very colourful creation, with a twisted festive feel. 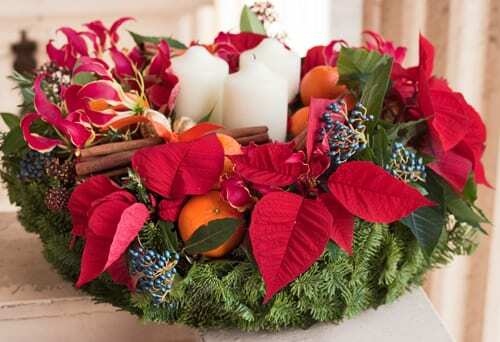 Simon also created this beautiful Christmas wreath using Poinsettias, Gloriosa Lily, Skimmia, Viburnum Berries, cinnamon sticks and satsumas. 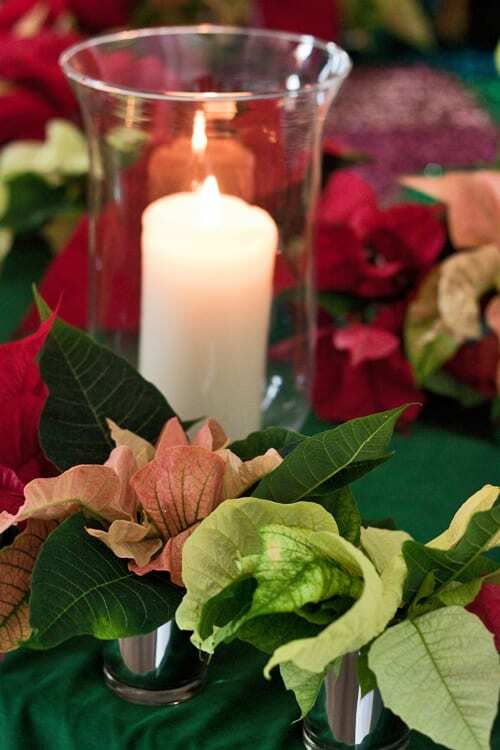 I hope you’ve enjoyed seeing these Poinsettia designs. If you’re interested in finding out more about Simon, you may like to read an interview which I did with him last November. And for his up-to-date news, he’s on Twitter, where he often tweets with images of his floral creations, plus flowers and foliage at New Covent Garden Flower Market in London.